The exercise asks us to do the reverse operation of Laplace transformation. Last edited by skipjack; June 11th, 2018 at 08:53 AM. You initially proceeded as though no term with s in the numerator is needed, which isn't the case. Instead, try including a Cs/(s² + 1) term. 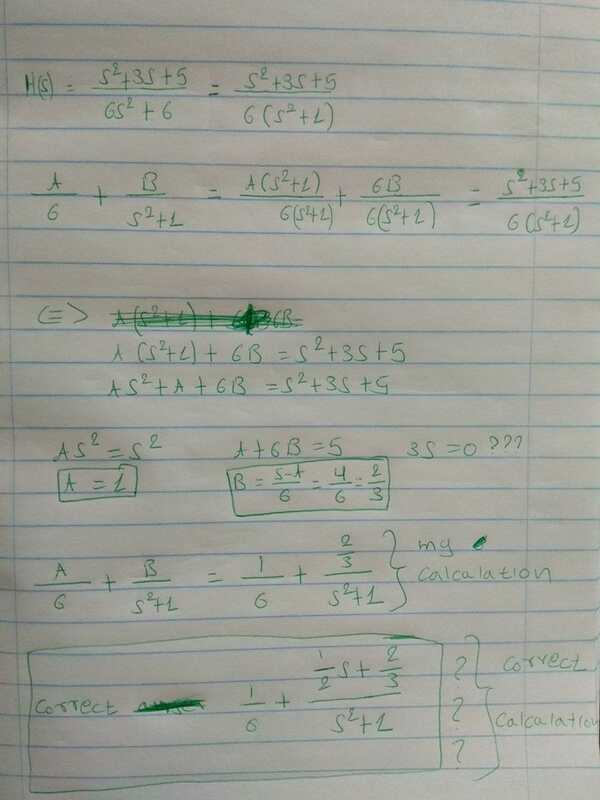 You should then get A = 1, B = 2/3 and C = 1/2.